Are we returning to the War-On-Crime era of the late 20th century? 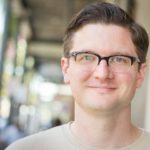 Bryan McCann, assistant professor in the Department of Communication Studies at Louisiana State University, delves into how criminality is framed through art and policy today. My work broadly engages the intersection of rhetorical and cultural studies, with an emphasis on the racialized and gendered politics of crime and violence in public culture. My current projects attend to the circulation and appropriation of blackness in activist, legal, and literary spaces. My published scholarship appears in the journals Communication and Critical/Cultural Studies; Critical Studies in Media Communication; Communication, Culture, & Critique; the edited volume Communication Activism; and other international, national, and regional outlets. 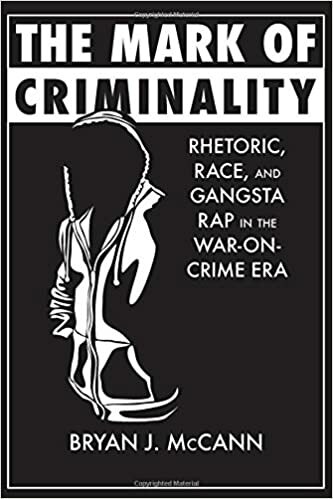 Bryan McCann’s book, The Mark of Criminality: Rhetoric, Race, and Gangsta Rap in the War-on-Crime Era, was released June 16, by University of Alabama Press. herently criminal. They affixed a mark of criminality to black bodies that associated black masculinity with violence and sexual aggression. While such tropes were not new in American culture, they emerged in ways that were uniquely suited to the realities of that time. ation, prominent gangsta rap artists such as the group N.W.A., Snoop Doggy Dogg, and Tupac Shakur refashioned the mark of criminality as a source of pride, credibility, and financial gain. Rather than rejecting the mark of criminality, gangsta rappers used it to serve alternative interests and objectives. Now, as young activists fill the streets demanding Black Lives Matter, surprising bipartisan coalitions are emerging to address mass incarceration. At the same time, a new presidential administration appears intent on returning to the War-on-Crime era. What we can learn from gangsta rap and the controversies it helped generate is that how we define and frame criminality is always changing and can just as easily come from the bottom up as from the top down.